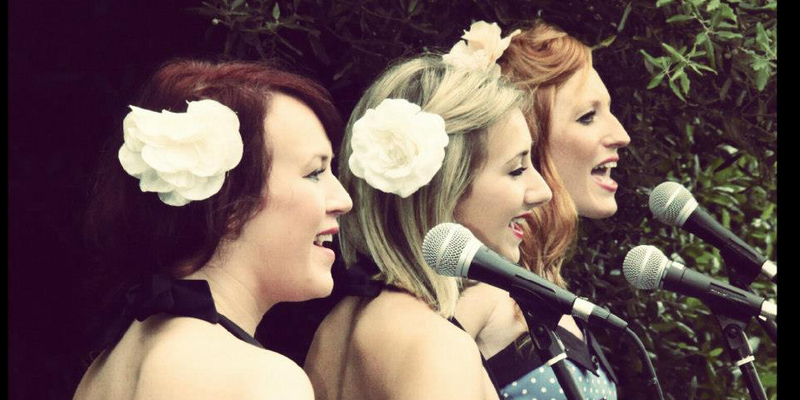 The Marionettes vintage harmony trio bring the charm and romance of the 1940’s to any event. Dressed in genuine vintage costume the girls change the look to suit the event and recreate the sound and feel of a bygone era. Fancy a Vintage Christmas? The girls add festive glamour dressed in cute Santa costume and present a Christmas Show that will make your winter wedding or office party an event to remember.
" The Marionettes give you Vintage 1940’s glamour and charm! " 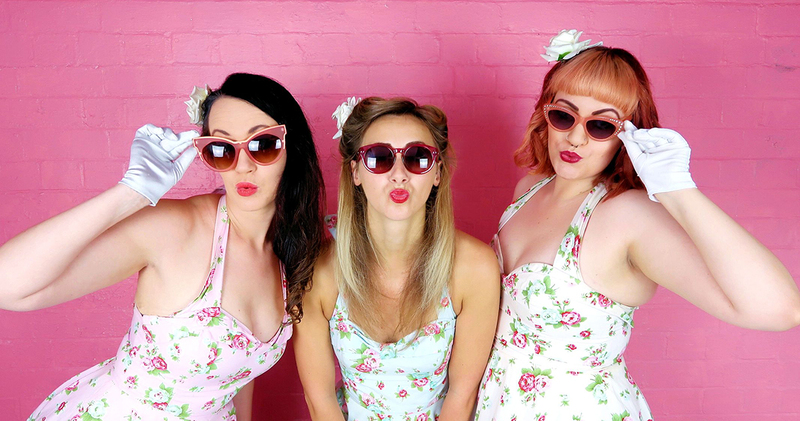 Set to high-quality backing tracks, the girls are able to deftly tackle any song from their extensive repertoire in Vintage swing style. 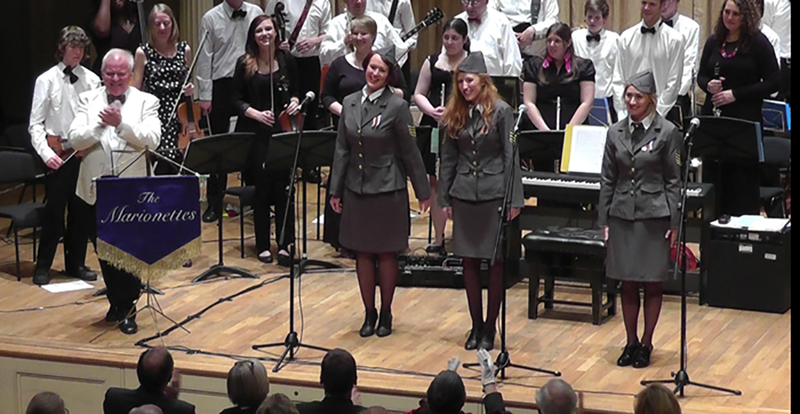 Whether it’s classic songs like “Don’t Sit Under the Apple Tree” or “ Boogie-Woogie Bugle Boy” or something a bit more modern like “Candyman” – or even “Frosty The Snowman” – The Marionettes can give any song an authentic Vintage twist. Dressed in the style and singing the songs of the era, the girls are able to perform at any 1940’s themed event. From tea dances to vintage fairs, blitz themed evenings or Christmas parties, you can’t go wrong with the Marionettes. Thank you so much coming out to help make our day so special. You were amazing! “Thanks so much for your lovely message and more importantly for your stunning performance at the wedding! You were amazing and exactly what we wanted – people didn’t stop talking about you all night. I cannot thank you enough for the wonderful evening we have had, You were truly a wonderful addition to the best party of my life. Thank you does not seem enough. Thank you so very much.